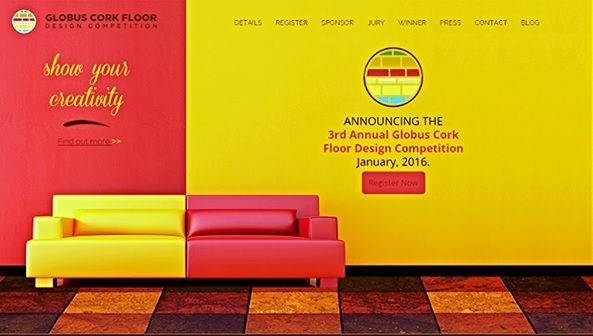 The 3rd Annual Globus Cork Floor Design Competition is open to Design and Architecture students in the US. Students and student groups can submit cork flooring design concepts online here to a judging committee of prominent designers and architects who will select design finalists and a winner. The winning design will highlight the unique creative possibilities of sustainable cork tiles. The winner will receive a $1000 cash prize and publication of their winning design through press releases and various media outlets as well as on the CorkFloor.com website. The Finalists will receive a cash prize of $100 each. The winning floor will be created and photographed by Globus Cork. For more information, visit the competition website.